For a limited time, the Bandana Badge comes with the Monster Rangers Bandana. Currently there is 1 level of the Bandana Badge. Getting 27″ bandanas custom printed (by hand) is a pain in the neck. You can get smaller ones, but not a big ones like ours. 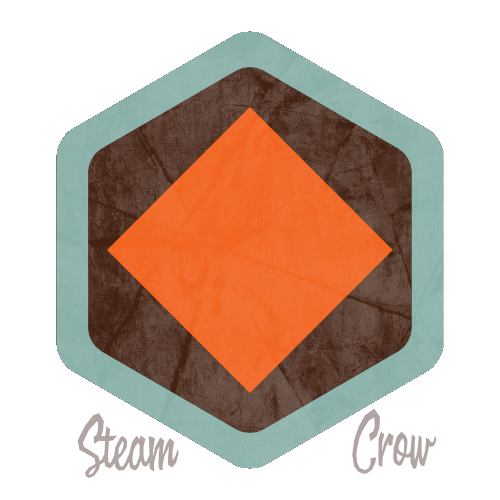 Orange is the color of Halloween, pumpkins, and Steam Crow.